If you are looking to get the health benefits of medical marijuana, but without getting high, then CBD oil may be the right choice for you. In recent years, there’s been a budding recognition regarding the medicinal properties of cannabis. These include pot’s well-established ability to quell nausea and wasting disease in cancer patients, to dampen epileptic seizures, and diminish inflammation and discomfort in people facing chronic pain. The benefits of cannabinoids are not a pipe dream. They are being confirmed not just by an avalanche of anecdotal reports, but also by findings issued by scientifically prestigious institutions such as the National Institutes for Health. As patients come forward explaining how cannabis-based treatments are helping them, and state legislature all across the country expand access to medical marijuana, there is an increasing interest in CBD oil. But what exactly is it? How does it differ from marijuana? And what makes it so beneficial from a medical standpoint? Here are some things you need to know. CBD oil is a cannabis-based product that contains the compound cannabidiol, which is one of the most important active ingredients in marijuana. Unlike THC (the most well-known ingredient in pot), cannabidiol is not psychoactive, which means it will not produce euphoria or mind-altering experiences in users. However, cannabidiol does interact with the body’s endocannabinoid system in ways that promote relaxation, eases anxiety, boosts immunity, modulates pain signaling and diminishes insomnia. Hemp CBD oil: This variation is derived from marijuana’s close cousin (the hemp plant). This form of the oil will contain only negligible levels of THC. Therefore, it will not get you stoned and is unlikely to trigger a “positive” result in workplace drug tests. Cannabis CBD oil: This is a form the oil derived from CBD-rich strains where the THC has been filtered out. Although this type of CBD only contains trace amounts of THC (not enough to get you high) it’s possible (though still unlikely) that it could lead to a positive reading on a workplace drug test. Homemade CBD oil: This form of the oil may be derived from CBD-rich strains, but it still contains at least some THC. This type of oil will get you high and could trigger “positive” results in a workplace drug test. How does CBD oil provide medical benefits? It’s only in the last decade that scientists discovered the central role that the body’s endocannabinoid system plays in maintaining health. Essentially, the endocannabinoid system is a network of receptors and biochemical messengers that are responsible for regulating homeostasis and overall well-being. The body manufactures natural cannabinoids, which play an important role in this signaling network. However, some cannabinoids in marijuana (most notably THC) also bind to receptors in the endocannabinoid system (fitting into them like keys opening a lock), which modulates activity in this network. CBD does not fit in perfectly into these receptors, but it does indirectly affect how the body’s natural cannabinoids interact with the network. Thus, CBD has a huge modulating effect too. Researchers speculate that the cannabinoids (in cannabis) can compensate for existing biological imbalances, dampen pain signaling that takes place through the endocannabinoid system, and counteract tissue damage caused by inflammation. Reasons such as these help explain why cannabis-based remedies have such far-reaching benefits for such a wide-range of conditions. No wonder, then, that cannabis found a prominent place in folk medicine for thousands of years. It is only in recent decades, with the advent of anti-marijuana hysteria, that this plant-based remedy has been unfairly and unwisely suppressed. You can buy CBD oil in dispensaries in states where marijuana has been legalized for medicinal purposes or recreational use. There are also a lot of products labeled “CBD oil,” which are available on the Internet and in retail stores in all 50 states. But due to a combination of factors (including the federal restriction on products derived from marijuana and shady operators that populate grey markets), many of these oils are of dubious quality. 1. Pick out a high-CBD strain such as Catatonic, Remedy or Charlotte’s Web. 2. Add cannabis to a glass jar containing veggie oil (coconut oil or olive oil) so that the cannabinoids can be dissolved in the oil. 3. Decarb your weed. This stage involves cooking your herb/oil mixture over a low heat to unlock the active ingredients so they can be metabolized by the body when you ingest it in an edible form. 4. Filter your final product so that you remove any inert plant material from your oil. 1. Use a coffee grinder or chop up weed so that it is finely ground (however, you don’t need to powderize it). 2. Add finely ground herb to a glass mason jar containing 1 cup of organic coconut oil. Next, tightly screw on the lid and shake. 3. Put washrag in the bottom of a pot and add at least three inches of water. Place mason jar with cannabis/oil mixture in covered pot and simmer just below boiling for 2 to 3 hours. Do not overheat, leave unattended or allow water to evaporate (add more water if necessary). 4. Allow herb/oil mixture to cool. Next, strain contents through cheesecloth or coffee filter into a glass bottle or jar. 5. Store you CBD oil in a cool dark place. CBD oil can be applied sublingually under the tongue, added to recipes that call for oil or rubbed topically as a balm onto your skin. Yes, your dermis has cannabinoid receptors! Some trial and error will be necessary to determine dosage. CBD is widely considered safe and there is virtually no chance of a fatal overdose, but because it is metabolized by the liver you should discuss possible drug interactions with your doctor. 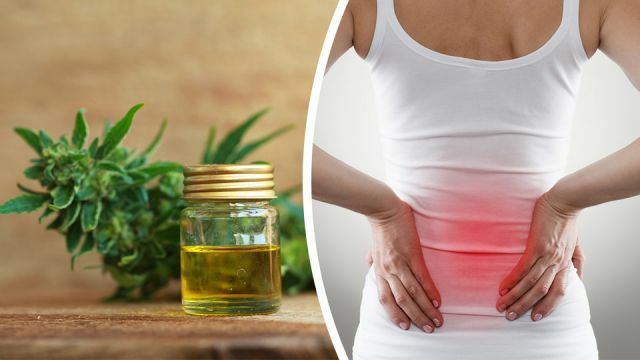 Hey Buddy!, I found this information for you: "This Homemade Coconut Oil CBD Recipe Will Get Rid Of Pain Instantly". Here is the website link: https://www.thealternativedaily.com/this-homemade-coconut-oil-cbd-recipe-will-get-rid-of-pain-instantly/. Thank you.